Cheap Girly Checks can bring smiles to your face in an otherwise boring check writing routine. If you are looking into buying personal checks on line, our line of pretty, feminine checks meets all the requirements that your financial institution needs. 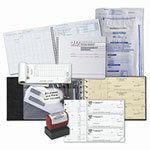 Ordering checks is secure and shipping is fast. Checks are delivered in the mail and in many cases you'll find free shipping too. So you're a girl and loving it. Let it show in everything, including your choice of personal bank checks. Tell the world with pink checks that feature sassy heels, funky undies, calf-hugging boots and everything stylish that girls love. From glamorous to glitzy, from skulls to stilettos and shoes, shoes, shoes, let the world know that you're loving the feminine ride! A set of illustrations focused on princess tiara crowns will affirm your conviction that every young woman is a star. Or stick with simple pink striped checks for an understated hoorah that still makes it clear that pink is for perfect. Your life. Your choice. Long live pink checks! Buy your checks online today. Thank you for shopping at Value Checks where you can order cheap girly checks and get a great bargain!